Could be used as a drain plug but has endless other applications. 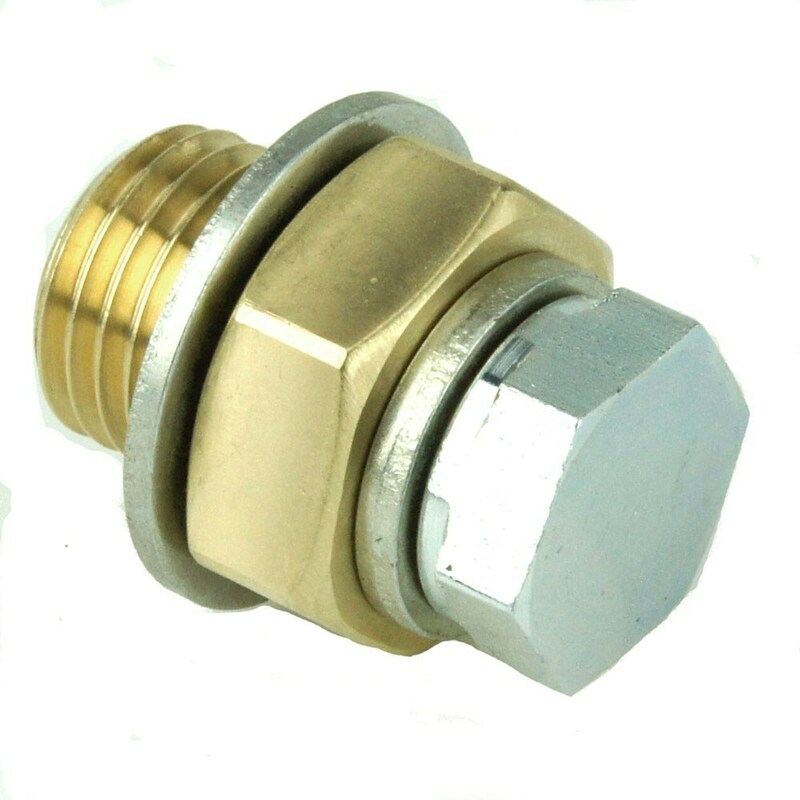 plus a plated steel union with an M10 x 1mm male thread, 14mm AF hex. and a Dowty washer.